Nestled in the Rocky Mountains, you’ll find a great small town that might seem like the perfect alternative to living in the U.S. Revelstoke is located on the Trans Canada Highway, which will make it easy to go east to Calgary or west to Vancouver. It’s also not far from Banff and the Icefields Parkway. And there’s even a national park with the same name, and an excellent ski area, right outside of town. Revelstoke has a nice, walkable downtown district, along the Columbia River — yep, the same river that flows past the Donald Trump-hating city of Portland, Oregon — so maybe that will help you feel more at home. Revelstoke National Park offers some great hiking trails. And other national parks are nearby, like Glacier and Yoho. Okay, I know by now you’re probably thinking, what about Vancouver? I haven’t been there, so I can’t personally recommend it, but feel free to extol the virtues of this west-coast city in the comments below. I can already name a few: a more temperate climate than most Canadian cities, easy access to Seattle, and great skiing at Whistler in the winter. If I’ve missed a great Canadian city that would love to be a sanctuary to dispirited Americans, please mention it in the comments! What do you think? 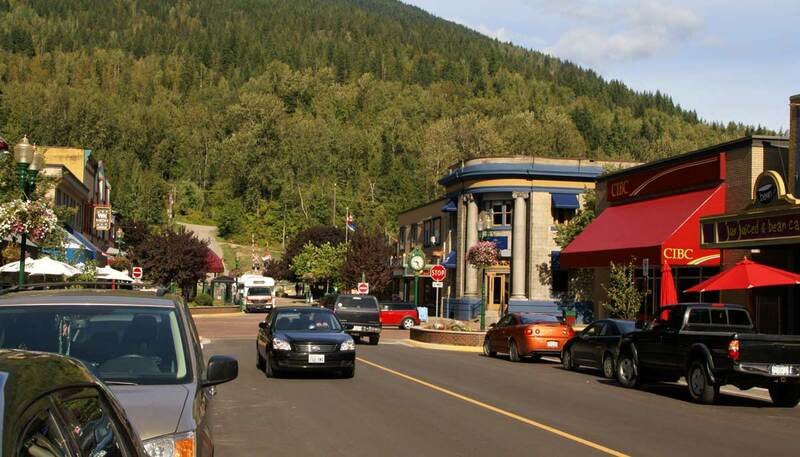 Would Revelstoke make a good place to live? Did I miss a great Canadian town that should be on the list? Want to yell at me about the results of the election? Hey, that’s what the internet is for! Throw in your two cents in the comments below. Oh, and you can also check out my guide to visiting Canada for Americans and my guide to Visiting the Rockies in Winter. And if you decide to go for a visit, use the Booking.com search box on this page. It’ll give you a great deal, and you’ll help support TakeMyTrip.com!